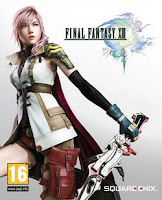 I came across an interesting article about composer Masashi Hamauzu, the musician responsible for the score to Square Enix's Final Fantasy XIII, released in 2009 (Japan) and 2010 (North America) for PlayStation 3 and Xbox 360. I am not at all familiar with video games, nor do I expect to become so, but this particular role-playing game has become a global phenomenon, having grasped both enormous commercial success and critical acclaim. So even I know about it. The article caught my interest because it mentions the involvement of the multi-talented Mina Sakai, who is, among other things, the leader of the Ainu Rebels rock band. I introduced both her and the band on this blog some time ago. 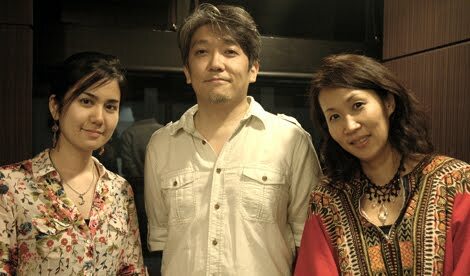 Mina is one of the new generation of Ainu who are vocal about Ainu issues. In addition to her singing, the musical score for Final Fantasy XIII includes her performance of the mukkuri (a traditional Ainu jaw-harp) and features her voice counting numbers in the Ainu language. This post is a slightly edited version of a recent post in the "Humanizing the Quake" series from my Etegami Blog. The images attached here are actually part of my illustrated recipe series, but I felt that they could serve to remind us that Japan is a multi-cultural nation, despite what most Japanese kids are taught in school, and despite the occasional nonsense spouted by certain politicians. The recipes represent two prefectures which have cultural traditions that are outside of the Japanese mainstream. Hokkaido, in the far north, and Okinawa in the far south. The first recipe posted here features a wild plant that is commonly called ainu-negi (Ainu leek). Life in Hokkaido is rich with the legacy of the Ainu, the indigenous people of northern Japan, but if you are a regular reader of this blog, you already know that. This legacy can be found in our local dialect, our food culture, our place names, and our worldview. Though the numbers of ethnic Ainu have dwindled, they are vocal and active, and contribute positively to modern Japanese society, economy and government. To the far south, Okinawa prefecture has a somewhat complicated history as the Kingdom of Ryukyu prior to becoming an official prefecture of Japan in 1879. Their architecture, crafts, food culture, and traditional language is different from that of any other area of Japan. The second illustrated recipe, Goya Champuru, is an Okinawan dish that has become popular all over the country. Apart from the peoples mentioned above, all over Japan there live permanent residents and naturalized citizens who are not ethnically or culturally mainstream. Some of us have lived here for many generations. Our lives are rooted here. We lived and died in past and present earthquakes and tsunamis. The burden to rebuild Japan is our burden too, and we bear it with pride.